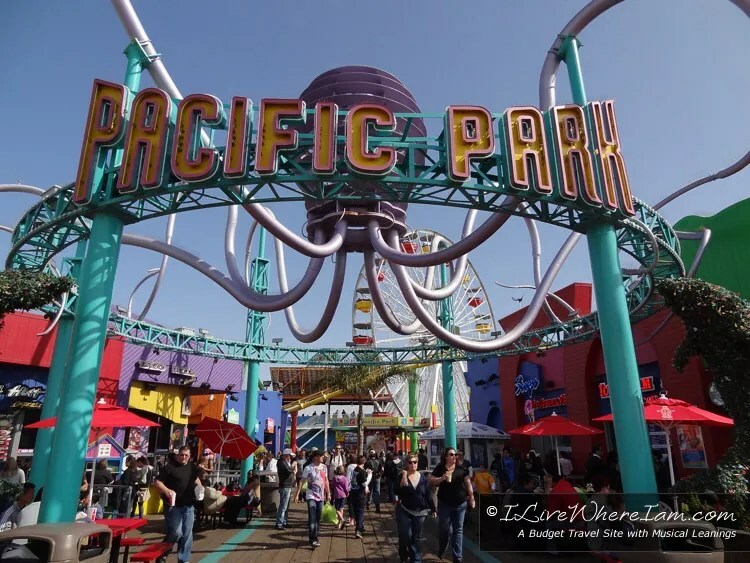 Individual Ride Prices for Pacific Wheel Ferris Wheel, West Coaster, Inkie’s Scrambler, Sea Dragon, Pacific Plunge & Sig Alert EV are $8.00 per person per ride (prices are for both adults and children). 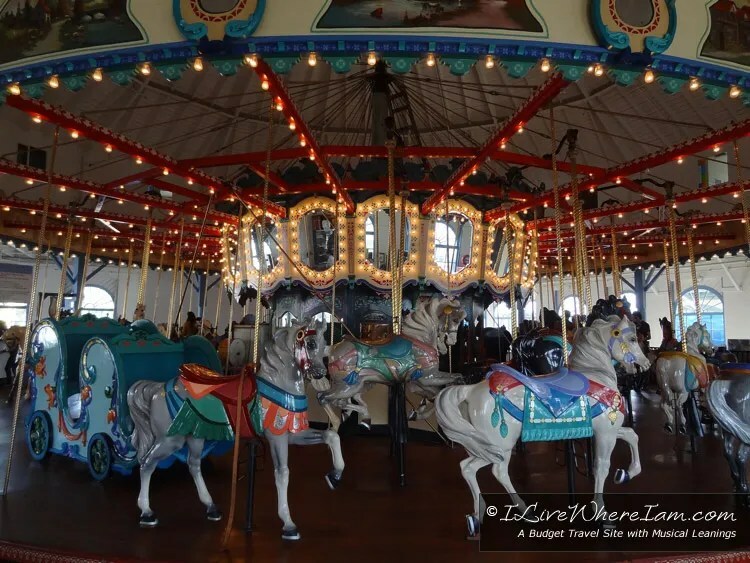 Kids ages 3-9 can enjoy Inkie’s Wave Jumper, Inkie’s Pirate Ship, Inkie’s Sea Planes, Inkie’s Air Lift, Pier Patrol, Frog Hopper and Sig Alert EV for $4.00 per child per ride. ARE YOU LOCAL? Get an Annual Pass for the the Best Deal Around! Get unlimited rides and 20% off food and merchandise at Pacific Park with an annual pass unlimited ride wristband for adults and children for only $99! 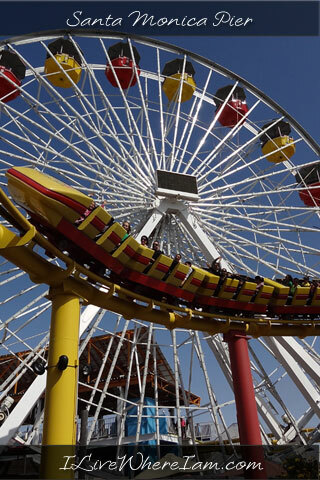 The Santa Monica Pier operating hours vary throughout the year. 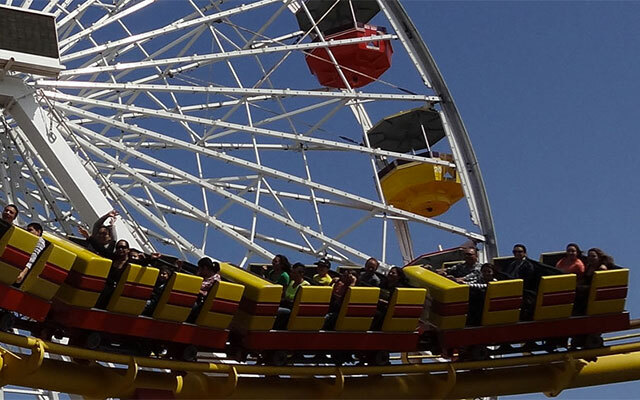 It is best to check the Santa Monica Pier Pacific Park calendar for ride operation details. Call Pacific Park at 310-260-8744 for more information. There is parking on the pier and in the parking lot north of the pier. Cheap short term parking is available right at the base of the pier off of Appian Way. $1.00 per hour; maximum 2 hours. Winter Hours: 7am – 4pm; Summer Hours: 7am – 7pm. 66 spaces available. = $48 for family of 4 / $12 per person! 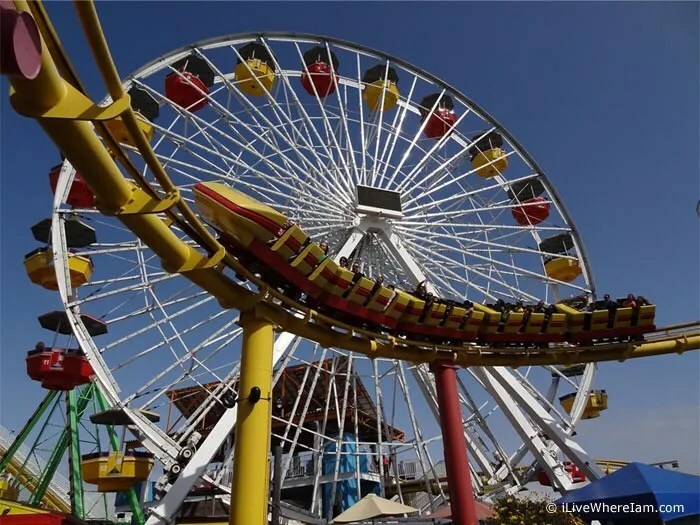 There is no charge to stroll the Santa Monica Pier or wander through the rides and games at the Pacific Park Amusement Park. Enjoy the sights and sounds of the swirling rides above you and crashing waves below the pier. For more fun, stop in at the Playland Arcade for a couple of games of air hockey at the back of the arcade ($1.00 per game) and Skee-Ball ($0.50 per play). Don’t forget to stroll to the end of the pier to watch the fishermen in action and maybe even see some phosphorus in the water at night. Take flight with the Trapeze School New York located on the Santa Monica Pier. The offer 2-hour daily flying trapeze lessons. Other classes offered are static trapeze, aerial silks and trampoline are even more affordable, ranging from $25 – $35. Note: These classes are limited to the weekends. 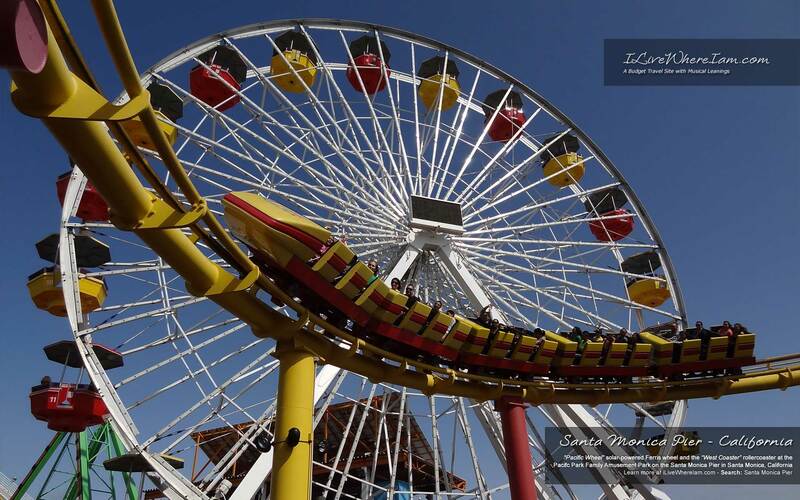 Built in 1909, the Santa Monica Pier sits at the end of Colorado Avenue at Ocean Avenue in Santa Monica, California. It was designated a Santa Monica Historic Landmark in the summer of 1976. In 1983 two powerful storms destroyed more than one-third of the pier requiring it to be rebuilt from 1987 – 1990. Pacific Park opened in 1996 and was the first amusement park on the pier since 1930. Please note: This post contains affiliate links and banner ads. If you click on an affiliate link and purchase through the linked website, this can result in a commission paid to this site. 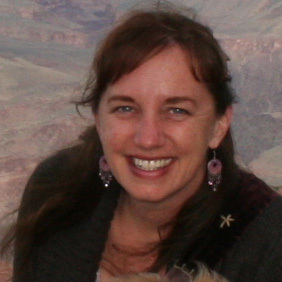 There is no charge to you and it helps support this site. Affiliate links are indicated by “(affiliate link)”. Banner ads also earn a commission for this site when clicked. All other links are for your benefit to additional information and do not earn a commission for this site. Thank you for your support. 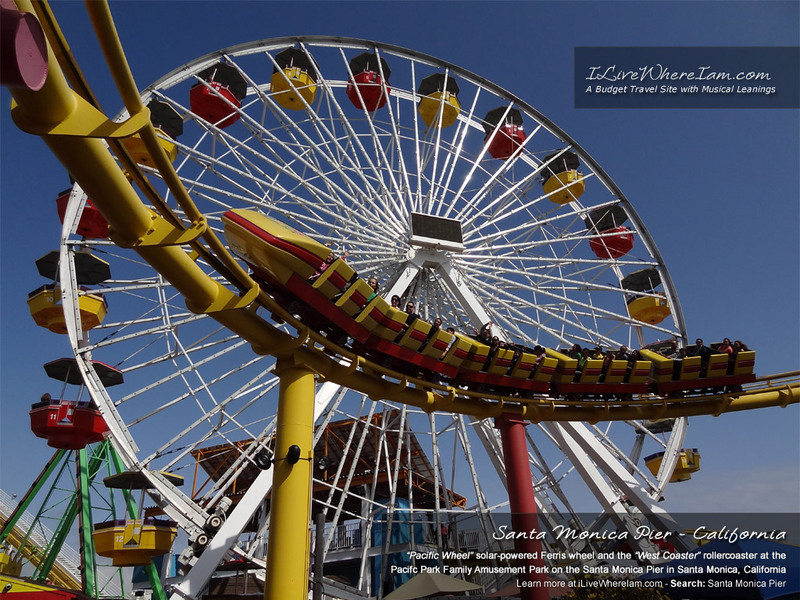 Have you been to the Santa Monica Pier lately or planning to go?